Avanti Mini Extruder allows researchers and scientists to prepare large, unilamellar vesicles by extrusion in an efficient manner. Prepare large, unilamellar vesicles (LUVs) by extrusion in an easy, rapid, and efficient manner. The Avanti Mini-Extruder is constructed of stainless steel and Teflon; the new design is guaranteed to give years of trouble-free service and is available for a fraction of the cost of a larger extruder. 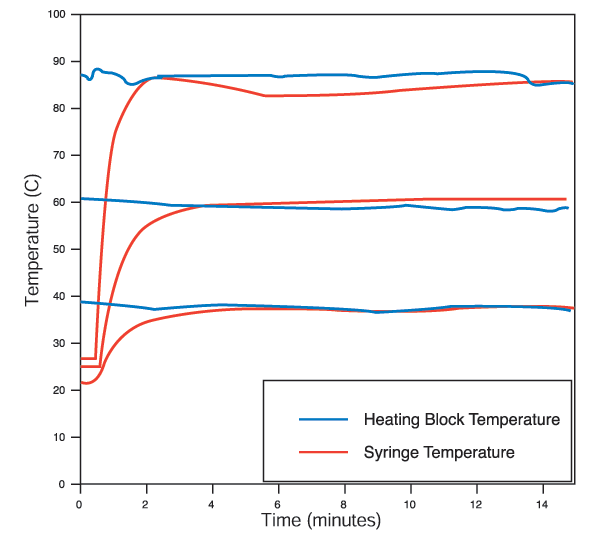 Placing the stabilizer block-extruder assembly on a hot plate achieves rapid temperature control for lipids that have transition temperatures above room temperature. The particle size distribution of unilamellar vesicles prepared by extrusion is a function of the number of passes through the extruder membrane. Hydrated lipid solutions will initially form large, multilamellar vesicles. After the initial pass through a membrane, the particle size distribution will tend towards bimodal. After sufficient passes through the membrane, a unimodal, normal distribution is obtained. 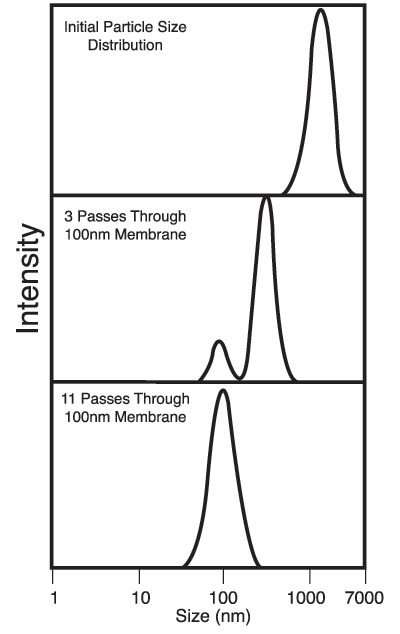 A minimum of eleven passes through the extruder membrane is recommended for most lipids. Placing the heating block assembly on a hot plate achieves rapid temperature control for lipids that have transition temperatures above room temperature.